Even scaled-down, it's a nice example of how good an image the camera can produce. 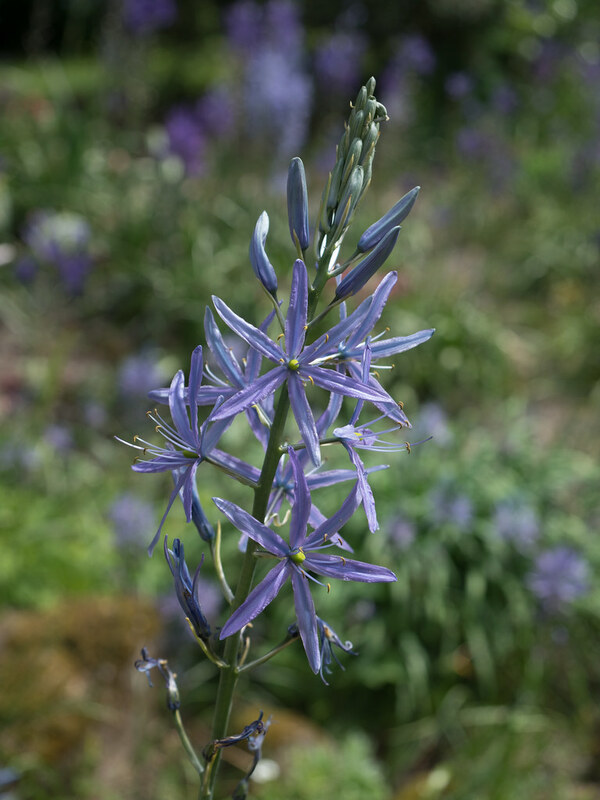 The plant's a Camassia, one of a bunch of lilies with bulbs from the western US (there's one eastern species). They'd be common garden flowers if only thery were native to Europe instead of America. 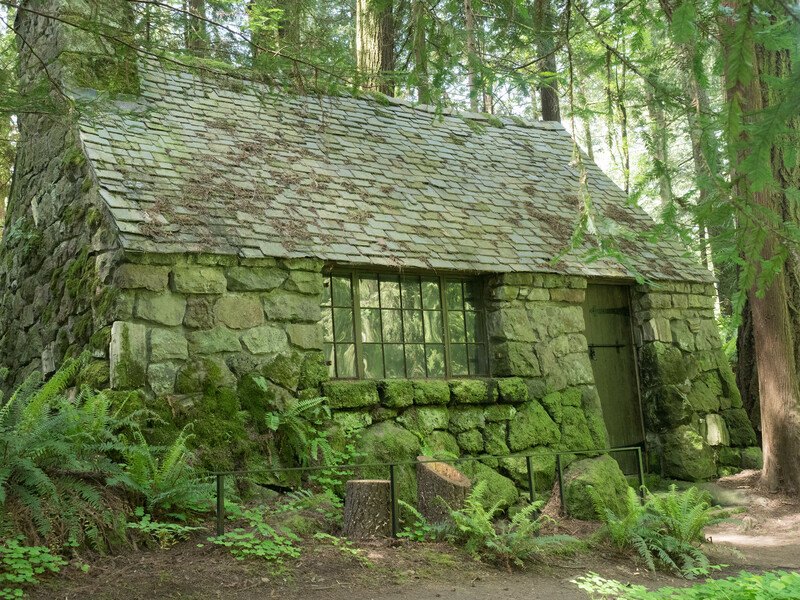 It's at the Leach Garden in Portland, a house and this "cabin" with the owners' collections of lots of native plants and some neat non-natives. 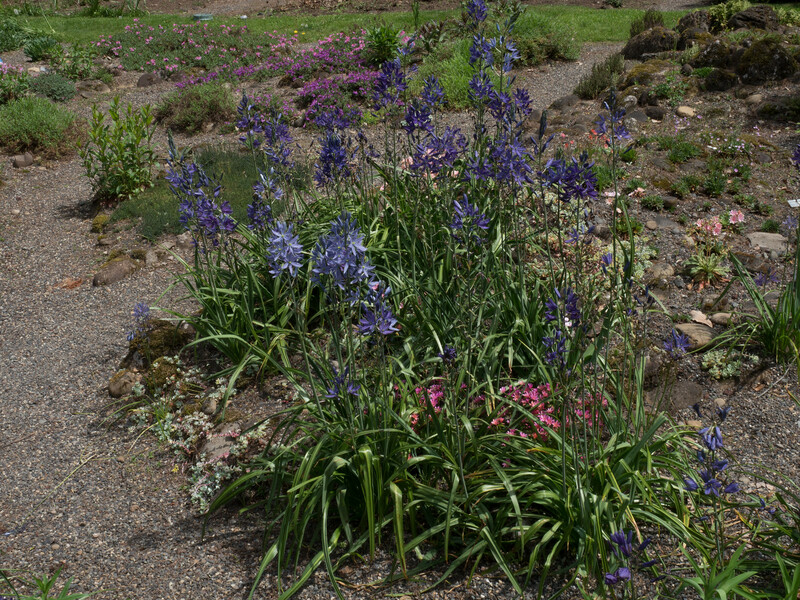 Here's some Camassia plants with little Lewisias (named for Capt. Lewis of the Lewis & Clark expedition). 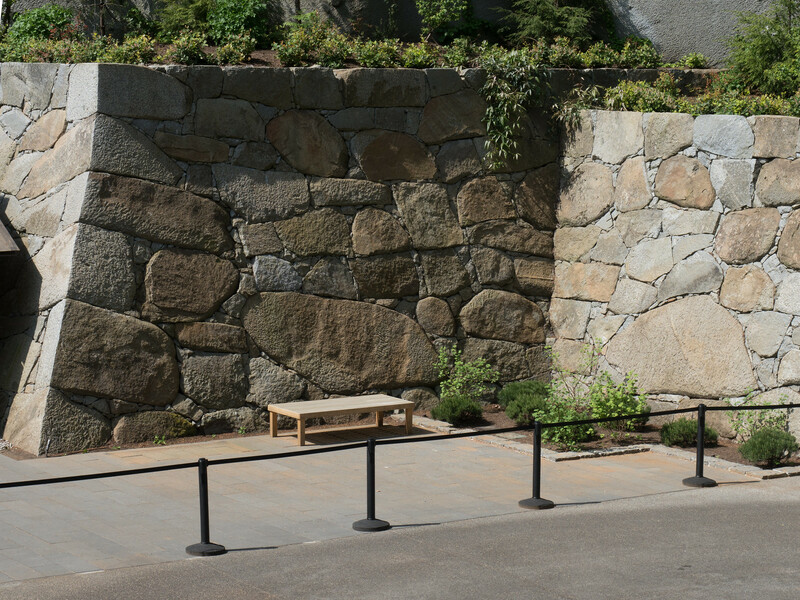 And the Japanese Garden has a brand-new, authentic Japanese castle wall. A pond with new buildings behind. Moss on the roofs, to blend in. As featured in the finale of Portlandia. The video crew were described as well behaved and very careful. Unlike the kid who broke in and sprayed a fire extinguisher. 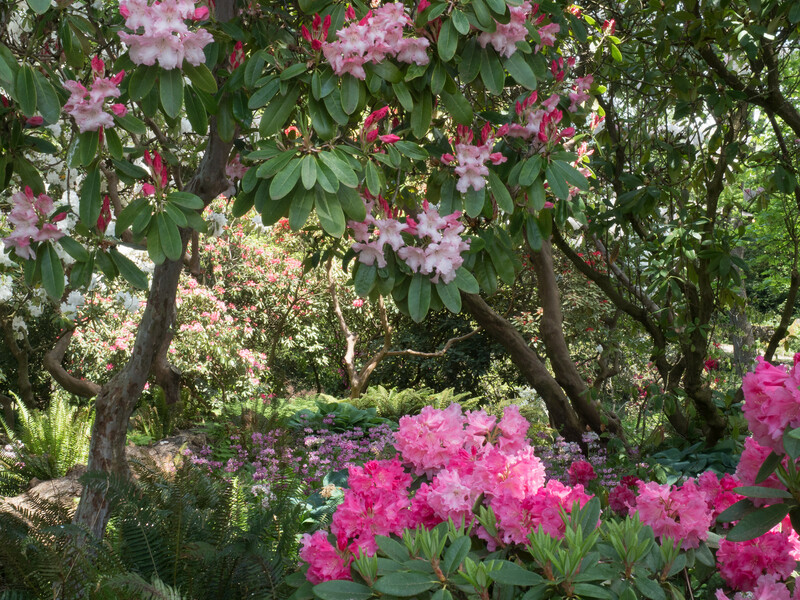 The Rhododendron Garden amazes me because it's been looked after volunteers in an age when the original source, a club of rhododendron enthusiasts, has probably run dry. Plant clubs just don't rate anymore. Even palms, but we still get good orchid shows in Vero. 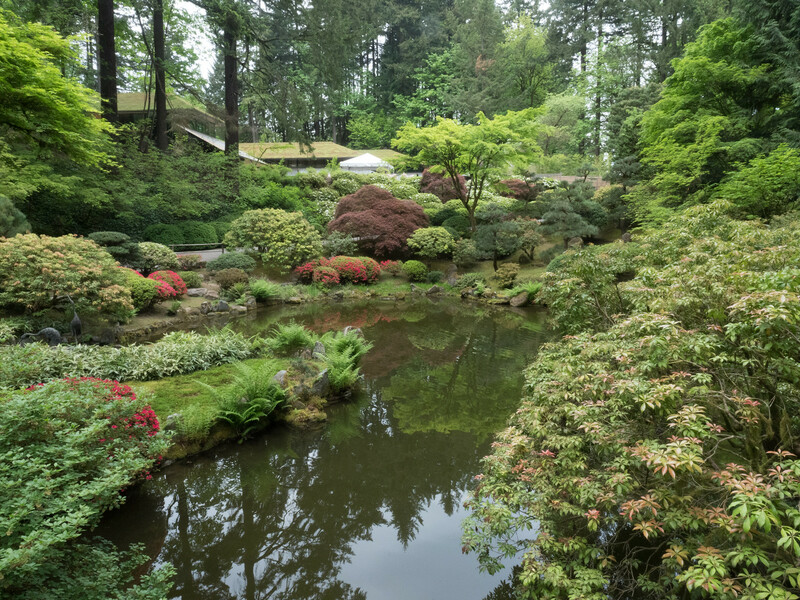 The Japanese Garden was carefully designed as a teaching garden in the 1960s. The idea was to have little samples of different garden styles. No one expected it to be the big attraction that it is now. I'm impressed both that the garden maintenance, with one or two flubs (one pointed out to me), is among the best anywhere. And the multiudes of visitors are mostly very careful and respectful. The koi entertain the kids. BTW, the garden was something of a scavenger hunt. There's lots of paths made from beautiful granite slabs. They were stair steps discarded from a city-owned auditorium that was being modernized. Lanterns were donated. Shrubs and small trees were rescued from freeway construction sites. Some of the same happened with the small, beautiful Chinese garden downtown. Amazing how an ordinary camellia bush can become a Chinese or Japanese one with careful pruning. These gardens are legacies from people now dead, passed along by the living. 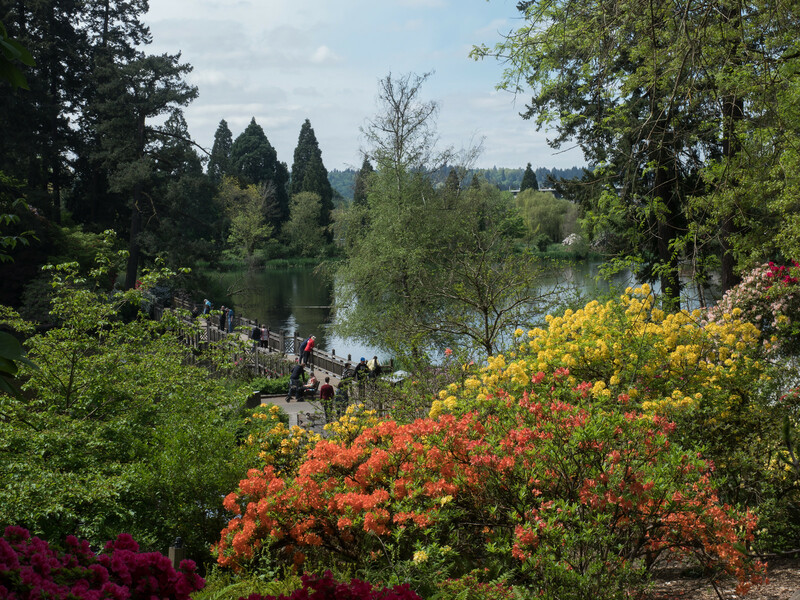 I had kind of forgotten how gorgeous Portland's gardens are at that time of year.